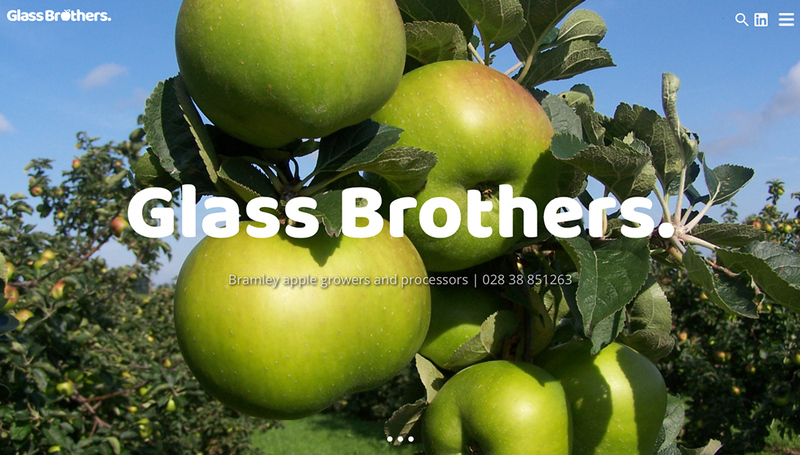 Glass Brothers specialise in growing and processing Bramley Apples from the heart of County Armagh. Established in 1963, they have always grown with the market: from supplying wholesale, to canning apples, to recent upgraded storage for ULO conditions to ensure their apples are the best out there. 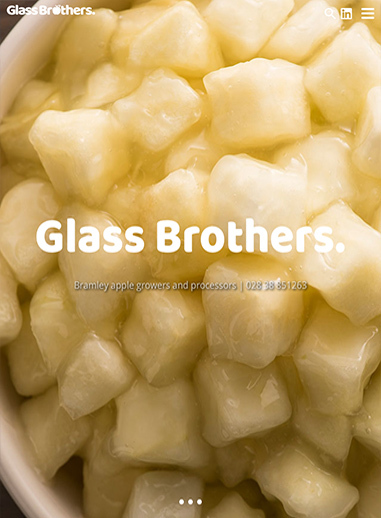 Continuing to branch out in their field, Glass Brothers approached Cornell Studios to design a new website for them. Planting the seeds for new ideas, we discussed with Glass Brothers what they wanted and Cornell designed and developed a completely new website for them. 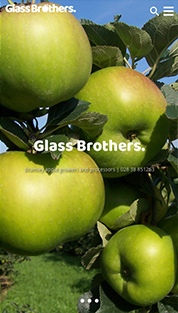 With a new, easy to navigate website featuring an in-depth history of their company, information on their facilities and processes as well as contact details, we think you’ll find Glass Brothers website beautifully highlights all aspects of their business. "Cornell were professional throughout the entire process of our new website design. Their team were knowledgeable, approachable and finished everything within the timeframe. Our customers have given us positive feedback on the ease of navigating the site. Working with Cornell Studios has been a real asset to our business."